The Motorola Droid a855 MyBat Phone Protector Case protects the body of your phone while providing unobstructed access to your phone. The two-piece MyBat protector case snaps securely onto the front and back of your Motorola Droid a855. Exact perfect fitting for the Motorola Droid a855 with its custom cutouts. With this product, you will be able to function your device and keep it safe with maximum protection. The optional ratcheting belt clip at the back allows you to wear your Motorola Droid a855 comfortably. You can also leave the back flat so you can easily pocket your Motorola Droid a855. The Motorola Droid a855 MyBat Phone Protector Case is compatible with the Motorola Droid a855 phone model. Protect and personalize your Motorola DROID with this front and back soft-touch rubberized Body Glove Snap-On Cover. Body Glove Snap-On Cover is a set of form-fitting faceplate and back covers that protect your cell phone without adding a lot of bulk. Rubber-textured protective covers snap-on to the front, back and sides of the phone. Motorola DROID Body Glove Snap-On Cover has openings for volume/side buttons, camera lens, charger jack and speakers which allows access to all phone functions. Slide action of the phone is not affected. Comes with a detachable belt clip that lets you carry your phone vertically, horizontally or diagonally. Belt clip also works as a kickstand for table top viewing. The belt clip and the knob that holds the belt clip can be remove so you can go with or without it. Easy snap-on installation; no disassembly is needed. Compatible with Motorola DROID. 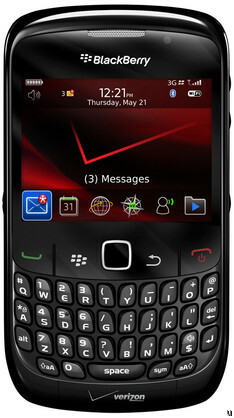 BlackBerry Curve 8530 accessories are carried at GyverGear. BlackBerry Curve 8530 accessories include the BlackBerry Curve 8530 car charger, BlackBerry Curve 8530 case, BlackBerry Curve 8530 ear piece, BlackBerry Curve 8530 head-sets, BlackBerry Curve 8530 home chargers, BlackBerry Curve 8530 belt clips, BlackBerry Curve 8530 data cable, BlackBerry Curve 8530 travel chargers, BlackBerry Curve 8530 batteries, BlackBerry Curve 8530 Snap On Covers, BlackBerry Curve 8530 MyBat phone covers, BlackBerry Curve 8530 face plates, and many different other BlackBerry Curve 8530 accessories that are part of our BlackBerry Curve 8530 accessory product line. The Motorola DROID Phone Protector Case protects the body of your phone while providing unobstructed access to your phone. The two-piece protector case snaps securely onto the front and back of your Motorola DROID. Exact perfect fitting for the Motorola DROID with its custom cutouts. With this product, you will be able to function your device and keep it safe with maximum protection. The Cases for the Motorola Driod will soon come in over 70 designs and colors stay tuned. Just in the MyBat Motorola Droid cases will have 60 designs. Motorola DROID Screen Protector: Motorola DROID Screen protector prevents your LCD screen from getting scratched. Film is totally clear – no haziness – no bubbles – less glare. Screen Protector is custom tailored to fit the Motorola DROID and does not interfere with touch operation. Screen Protector is easy to apply, but does require exact placement as it is made to exact shape and dimensions of the phone’s screen. Compatible with Motorola DROID. Protect and personalize your Motorola DROID with this front and back Shield Protector Case. Shield Protector Case is a set of form-fitting face and back covers that protect your cell phone without adding a lot of bulk. Hard plastic protective covers snap-on to the front edges, back and sides of the phone. Motorola DROID Shield Protector Case has openings for camera, volume/side buttons, headset, charger jack and speakers which allows access to all phone functions. Slide action of the phone is not affected. Belt clip can be added as an option. Easy snap-on installation; no disassembly is needed. Compatible with Motorola DROID A855. Samsung Moment m900 accessories are carried at GyverGear. Samsung Moment m900 accessories include the Samsung Moment m900 car charger, Samsung Moment m900 leather case, Samsung Moment m900 ear piece, Samsung Moment m900 head-sets, Samsung Moment m900 home chargers, Samsung Moment m900 belt clips, Samsung Moment m900 data cable, Samsung Rogue m900 travel chargers, Samsung Moment m900 batteries, Samsung Moment m900 phone covers, Samsung Moment m900 face plates, and many different other Samsung Moment m900 accessories that are part of our Samsung Moment m900 accessory product line. Samsung Mythic a897 accessories are carried at GyverGear. Samsung Mythic a897 accessories include the Samsung Mythic a897 car charger, Samsung Mythic a897 leather case, Samsung Mythic a897 ear piece, Samsung Mythic a897 head-sets, Samsung Mythic a897 home chargers, Samsung Mythic a897 belt clips, Samsung Mythic a897 data cable, Samsung Rogue a897 travel chargers, Samsung Mythic a897 batteries, Samsung Mythic a897 phone covers, Samsung Mythic a897 face plates, and many different other Samsung Mythic a897 accessories that are part of our Samsung Mythic a897 accessory product line.